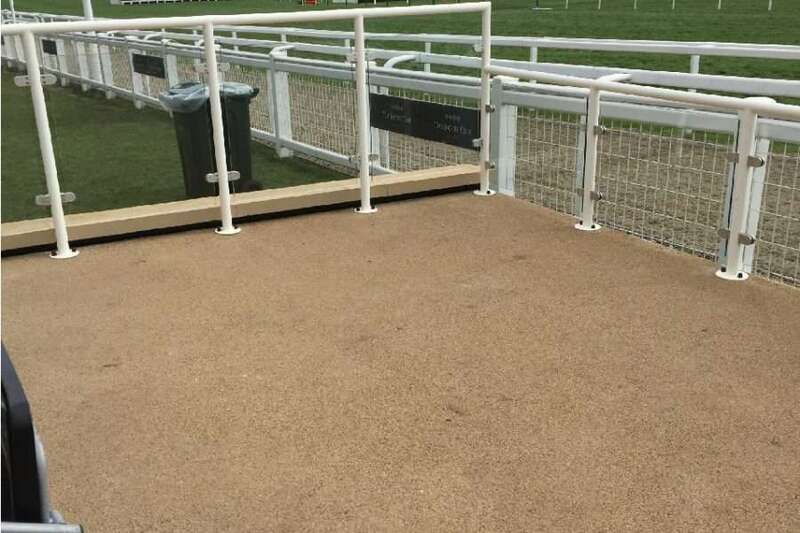 NatraTex, one of the leading brands of hard landscaping products, has recently been used to create a disabled access footpath and viewing area at Cheltenham racecourse. NatraTex Cotswold is the flagship product of the NatraTex range. 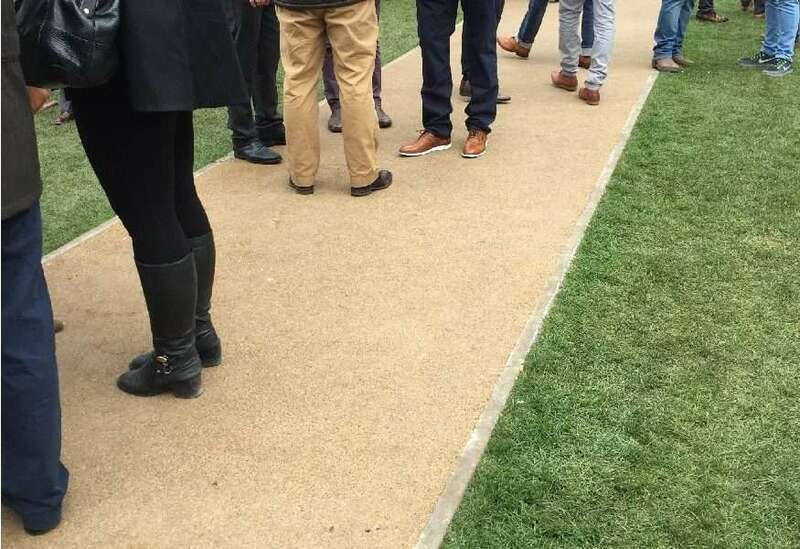 It combines the key ingredients from their other hard landscaping products to form a durable, fully bonded, buff coloured natural aggregate surface course. 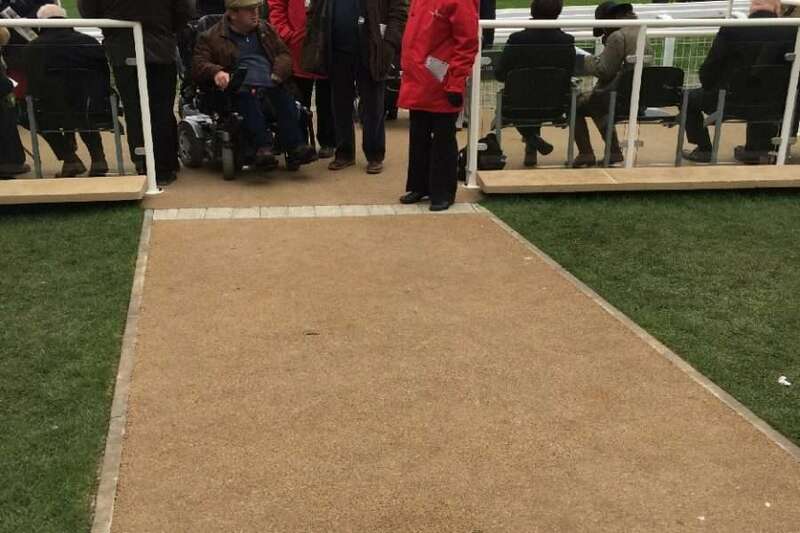 Laying the wheelchair-friendly path and viewing platform at the racecourse was a first for NatraTex, which specialises in residential, retail, regeneration and recreation projects. These include roads, paths, car parks, housing estates and playgrounds. The hard-wearing finish of NatraTex has made it a popular choice for businesses all over the country. The asphalt surface course used to create the smooth surfaces reduces the risk of deterioration, leading to potholes and breakages. 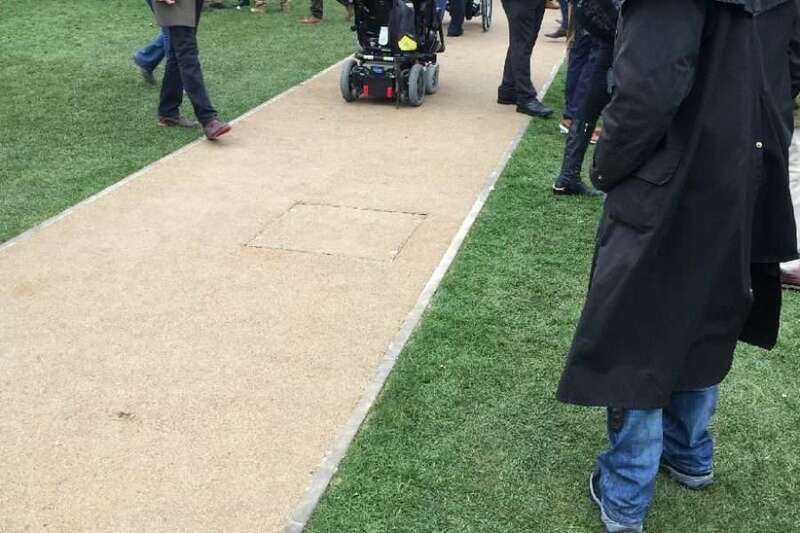 On this occasion, it was used because it provides significant programme savings compared to other aesthetic surfaces. 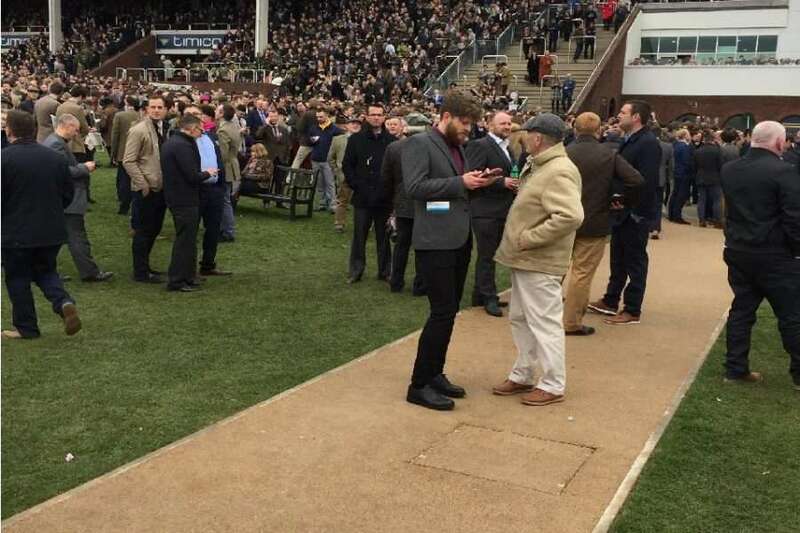 It was important to have the area ready for the annual Gold Cup festival.